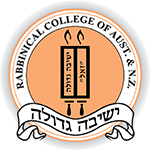 Farbrengen with Rabbi Lipskar - Rabbinical College of Australia and N.Z. A Farbrengen is a Chassidic gathering in which the participants inspire each other to lead an exemplary Jewish life. In the spirit of true Ahavas Yisroel (love for one’s fellow Jew), the participants encourage each other to study Torah diligently, to fulfil Mitzvos in the best possible manner, to improve one’s character-traits, and to spread Judaism to others. These messages are all shared through a unique blend of Torah explanations, stories and Chassidic melodies; at times poignant and at times exuberant. No wonder that "What a Hasidic farbrengen can achieve, even the angel Michoel cannot achieve!" When I heard these incredibly warm words, the hint of a smile began forming on my face. The Yechidus continued for about another ten minutes, but I was in such a daze that I do not remember any of it. All I remember is how the Rebbe expressed his gratitude in such an incredibly warm way, and at the same time, how he forcefully expressed his tremendous frustration that there was so much more left to do. The lesson: It is important that our achievements be recognized, but at the same time, we must remain focussed on the tasks that remain before us.